THE NEXT GENERATION OF LEGENDARY PERFORMANCE. Delivers quick steering response and precise feedback during high-speed cornering. 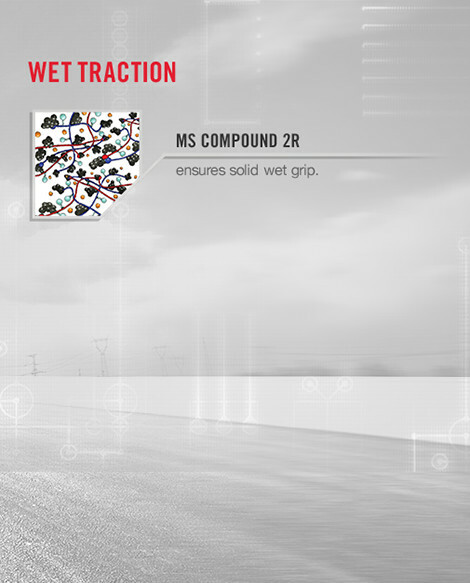 MS Compound 2R provides excellent wet and dry grip – accelerating faster and stopping sooner. Hydroarc Channels cut through water for superior wet grip. Yokohama tires are designed to perform better, keep you safer, and take you further. The ADVAN Neova AD08R features world-class technology to provide more grip for unprecedented performance. 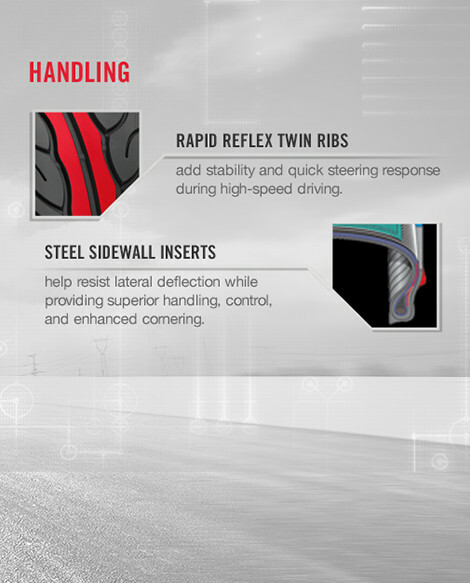 Rapid reflex twin ribs provide stability during high-speed driving. 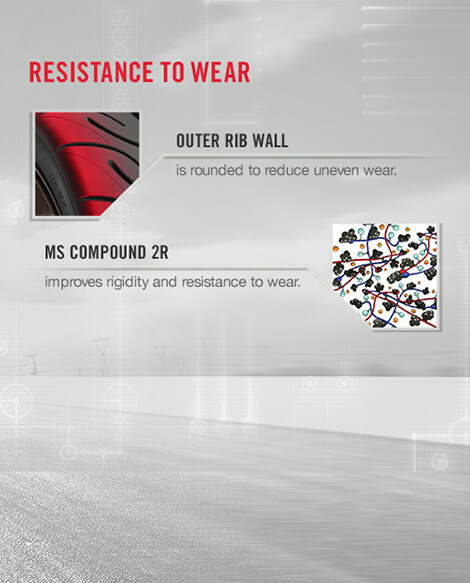 Steel sidewall inserts resist lateral deflection and provide excellent control and enhanced cornering. To view tire specs for your application, select from one of the available sizes below. This warranty applies to every Yokohama replacement passenger car, light truck and temporary spare tire bearing the Yokohama brand name and complete Department of Transportation serial identification number and operated during normal highway use (commercial applications excluded) in the United States. These tires are covered by this warranty for the life of the original usable tread depth (the original tread depth down to the level of treadwear indicators molded at 2/32 inch (1.6 mm)) or for 60 months from the date of purchase (proof of purchases required) or 72 months from the date of manufacture (if no proof of purchase available), whichever comes first. This warranty applies only to the original tire purchaser, and is not transferrable to any other party. This time period does not represent the expected service life for tires covered by this warranty. Road hazard injuries or damages caused by obstacles or debris, such as cuts, punctures (whether repairable or not), snags, bruises, tears, abrasions or impact breaks. Improper repairs or repairs that have failed. Improper inflation or other maintenance abuses. Improper application of tire size and/or specification. Mechanical irregularities in the vehicle or wheel, such as bent wheel assemblies, misalignment, worn or faulty components. Weather checking/cracking or failures resulting from these conditions on tires purchased more than four years (48 months) prior to a warranty claim. If proof of purchase is not provided, the Department of Transportation (D.O.T.) serial number is used. Accident, corrosion, vandalism, fire or damages caused by nature. Tires that have had material added after leaving a Yokohama manufacturing plant, such as fillers, sealants, balancing substances and external tire treatments or material of any kind. If the added material is the cause of a failure, a tire will not be accepted for warranty credit. 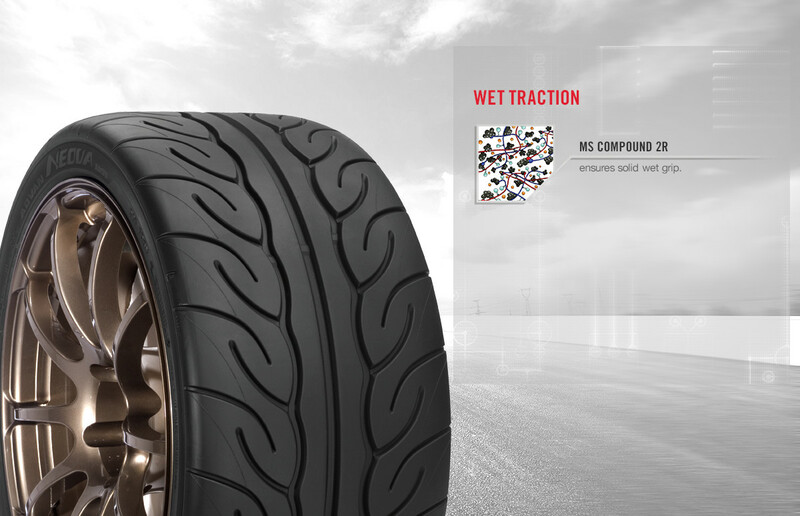 Tires submitted for ride disturbance complaints with more than 1/32 inch (0.8 mm) treadwear. Tires on vehicles registered or operated outside of the United States. Tires not sold in the United States by Yokohama tire Corporation. Tires branded by Yokohama to note special classification at time of purchase, such as "NA" (non-adjustable), or tires altered by notching or buffing. Tires used on vehicles in racing or special applications. 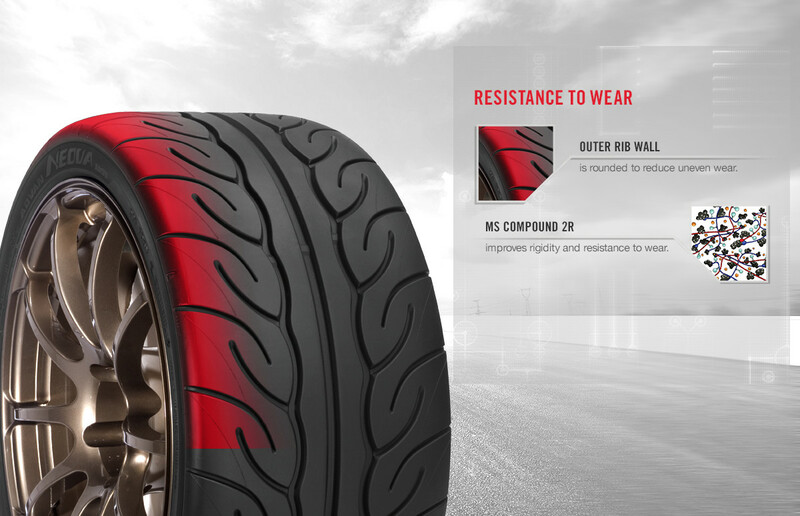 When the original usable tread is worn 2/32 inch (1.6 mm) or less, and a warrantable condition is found, the tire will be replaced with a comparable new Yokohama tire free of charge. 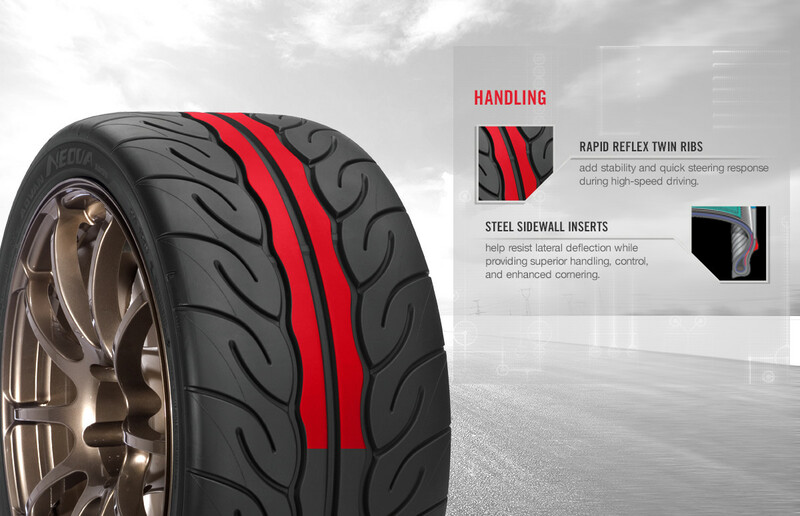 During this period, tires will be mounted and balanced without charge. Other service charges such as tire rotation, alignment or applicable taxes are payable by the customer. When a tire has worn past the above specified period for free replacement and a warrantable condition is found, the customer must pay for the cost of a new comparable Yokohama passenger or light truck tire on a prorated basis. The dealer shall determine this cost by multiplying the percentage of usable tread worn by the dealer's current retail selling price of that tire at the time of warranty replacement. The cost of mounting, balancing and any other service charges or applicable taxes are payable by the customer. by the customer. Yokohama Tire Corporation's warranty policy provides coverage for all tires installed on light trucks, minivans or like designs that have or had passenger tires installed as original equipment by the vehicle manufacturer when the Yokohama replacement tire is equal to or greater in size, ply rating, load range, load index and speed rating (if applicable) of the originally installed tire. Operation other than described above will be denied coverage under all terms of the Yokohama Standard Limited Warranty for Passenger Car and Light Truck tires. When the original tread of a Yokohama temporary spare tire used in temporary highway service on the vehicle on which it was originally installed is worn less than 1/32 inch (0.8 mm), the tire will be replaced with a new Yokohama temporary spare tire free of charge, without charge for mounting and balancing the new tire. Additional service charges are payable by the customer. Temporary spare tires worn in excess of 1/32inch (0.8 mm), but less than 2/32 inch (1.6 mm), will be replaced and the customer charged 50% of the dealer's current retail selling price of the tire. The cost of mounting, balancing and any other service charges is payable by the customer. In addition to the Standard Limited Warranty coverage, some Yokohama steel-belted radial tires purchased in the continental United States as replacement tires only are warranted for treadwear during a limit of five years (60 months) from the installation date. This warranty excludes Yokohama snow tires, and passenger tires mounted on vans, pickup trucks or any other utility vehicle used in commercial applications, except as provided by specific warranties. Passenger tires installed as original equipment are not covered by this warranty. If within 60 months from the date of mounting, the tire wears down to the treadwear indicator bars 2/32” (1.6mm) and the tire has not delivered the warranted miles of normal passenger car highway use (commercial applications excluded), Yokohama will provide credit for unused service toward the replacement of a new comparable Yokohama steel-belted radial tire. The customer will be charged a percentage of the warranted miles received, multiplied by the dealer’s current retail selling price of the tire at the time of adjustment. Other charges for taxes and dealer services of mounting, balancing, rotation and any others are payable by the customer. This time period does not represent the expected service life for tires covered by this warranty. For mileage warranties by product line, please visit http://www.yokohamatire.com. Eligible tires must be on the vehicle on which they were originally installed, in conformance with the vehicle manufacturer’s recommendations. Note: For staggered fitment applications (different tire sizes on front and rear axles), which cannot be rotated, the mileage warranty for the rear tires will be half of the warranty specified in Yokohama literature. * ** This mileage warranty applies to all replacement tires listed, bearing the Yokohama brand name and complete D.O.T. serial number and operated in the United States. All implied warranties, including any warranty of merchantability or fitness for a particular purpose, are expressly limited to the duration of this written warranty. All obligations or liabilities for loss of time, inconvenience, loss of vehicle use or any other incidental or consequential damages are hereby excluded. Some states do not allow limitations on how long an implied warranty lasts, or the exclusion or limitation of incidental or consequential damages, so the above limitations or exclusions may not apply. This warranty gives the customer legal rights that may vary from state to state. The customer is advised to determine those rights for their local area and exercise them as required or deemed appropriate. Replacements qualifying under the warranty must be made by an authorized Yokohama dealer. To process mileage proration adjustment(s) for the customer, the tire dealer must validate the mileage received on the claim tires(s), versus the mileage warranted and certify this information on the claim form to Yokohama and attach proof of rotation documents to the claim form. The customer must present the claim tire to an authorized Yokohama retail tire dealer in the United States. To obtain mileage prorated adjustments, the customer needs to provide proof of original purchase for the claim tires(s) that states the vehicle mileage at the time of the original installation. Additionally, the customer must provide proof that the tires have been rotated every 6,000 to 8,000 miles.